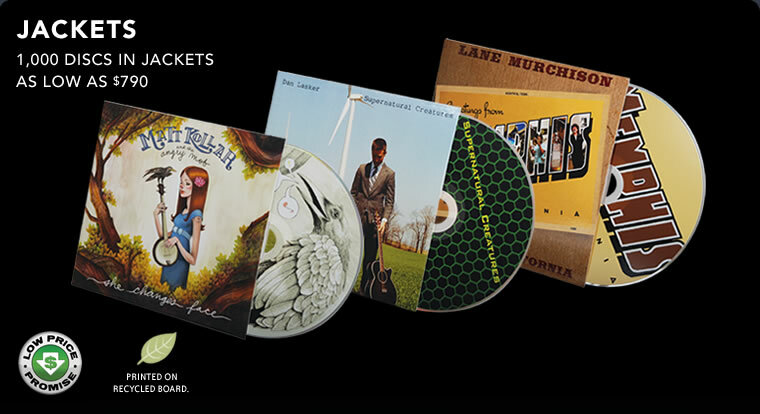 The lowest price for CDs in Jackets. Guaranteed. You don′t have to spend a lot of money for a great–looking, eco–friendly package. Our jackets look great thanks to their free high gloss UV coating (a $200 value). Because we print them on recycled stock, they leave the smallest carbon footprint of any disc package. And since they have no plastic, they′re our lightest packages, which saves you shipping costs.